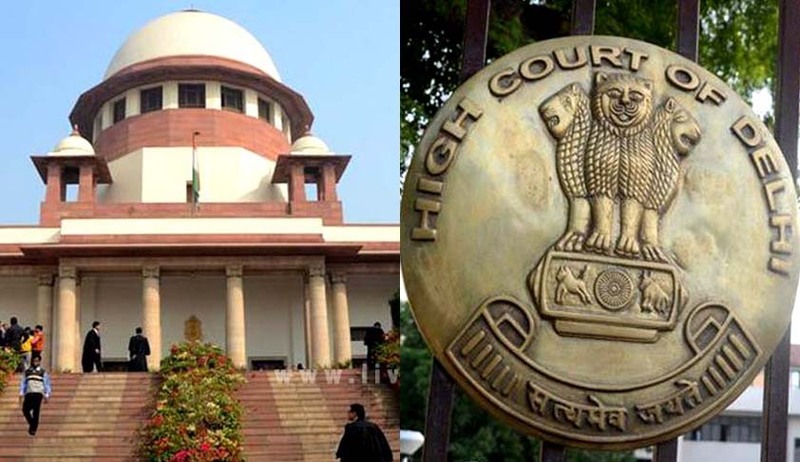 A petition has been filed before the High Court of Delhi, for restraining the collegium consisting of the Hon'ble Chief Justice of India and four senior most Judges of the Supreme Court from making any recommendation for appointment of Judges of the Supreme Court and the High Courts and further to prohibit and restrain the Union of India from acting upon any such recommendation made by the collegium; and further to stay all further appointment of Judges till the collegium system is improved and rendered defect-free and foolproof. The petition has been filed by Advocate Mr. Mathews J. Nedumpara, It lists as respondents, the Supreme Court of India, SC collegium, President of India, Bar Council of India, Attorney General of India, Centre, Chairman of Law Commission of India and President of Delhi High Court Bar Associate. It further refers to certain news reports which claim that Justice Dhananjaya Y. Chandrachud, Justice Ashok Bhushan, Justice Ajay M. Khanwilkar and Senior Advocate Nageswara Rao have been recommended for elevation as Judges of the Supreme Court. He however demands that judicial vacancies be advertised/ notified and applications invited for the same, and such applications be processed by a competent authority by resort to an open and transparent mechanism. It thereby demands their impleadment as respondents in the petition. The petitioner claims to have approached the Court for enforcement of his Fundamental Rights as enshrined under Articles 14, 19 and 21 of the Constitution of India, which he asserts have been violated by the majority judgment in the NJAC case (Supreme Court Advocates on Record Association v. Union of India and others). “The net effect of the judgments in Judges-2, Judges-3 cases and the current case is literal death of democracy, the unkindest cut of the concept of separation of power at its very root, the Court assuming the role of both the Parliament and the executive, all at once, as if it is the Parliament and the executive, nay, in substitution thereof,” the petition contends. With regard to the NJAC judgment, the petitioner contends that the Supreme Court Advocates on Record Association (SCAORA) and the Bar Association of India did not have the locus standi to institute the Writ Petitions under Article 32 of the Constitution of India. He hence submits that the Advocate General of India failed in his duty to raise the plea of non-maintainability of the Writ Petition. The Petition relies on the doctrine of nemo debet esse judex in propria causa (no one can be judge in his own cause), to contend that a Bench of not nine but eleven Judges, who will never be a part of the collegium nor of the NJAC, for, they will superannuate before they could reach that position by virtue of seniority, could have been constituted.